The Universal Installer won't connect to the FlyTampa Server. The Universal Installer was desgined to ensure that you are always installing the latest version of our Addons. In order to do so it connects to our Server using your Internet connection. Most AntiVirus/Security programs will consider this network activity suspicious and block or quarantine our Installer. You must unblock or whitelist the Universal Installer within your AntiVirus program in order for it to work. To find out how to do so, please consult the Manual/Help of your Antivirus/Security program. If you don't have an AntiVirus program, please be aware that a Firewall Software (or Firewall within your Router) may also be blocking the Universal Installer. After installing the Addon, it still displays the default airport. New P3Dv4 Addons cannot be added via the traditional Scenery Library or "scenery.cfg". Instead they must be added to Prepar3D’s new “add-ons.cfg”. To manually add these Addons, go to the Prepar3D folder, subfolder /FlyTampa/Airport/ and run the file labeled “Add-to-P3D.cmd”. To manualy add an Addon, click SETTINGS, SCENERY-LIBRARY. 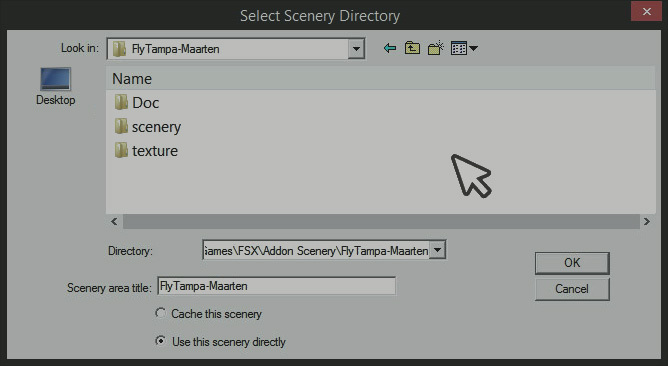 There click the ADD AREA button and choose the folder where you previously installed the Addon, usualy /FlyTampa/Airport/ or /Addon Scenery/FlyTampa-Airport/. When doing this in FS2004 or FSX under Windows 64Bit, you'll find the OK button within the File Browser dialog does not work. Instead of closing the dialog, the OK button will enter the selected folder. After pressing the OK button once, you must click within the emtpy white area of the file dialog. Can the Addons be installed outside of the Prepar3D folder? Yes, however the Addons must first be installed into the main Prepar3D. To move them afterwards, simply let the Installation complete, exit the FlyTampa-Configurator Tool in case it is running and use Windows File Explorer to move the whole FlyTampa folder structure from \Prepar3D\FlyTampa\ to another location. It is vital that you move the whole FlyTampa folder and not just the Airport subfolder, otherwise the FlyTampa-Configurator Tool will no longer work. After moving you need to re-add the entries to Prepar3D’s “add-ons.cfg” by running each /FlyTampa/Airport/ "Add-to-P3D.cmd". Will the Addons run on DirectX 10 or 11 Graphics cards? Yes, FSX by default runs in DirectX 9 Mode regardles of your Graphic card capabilities. 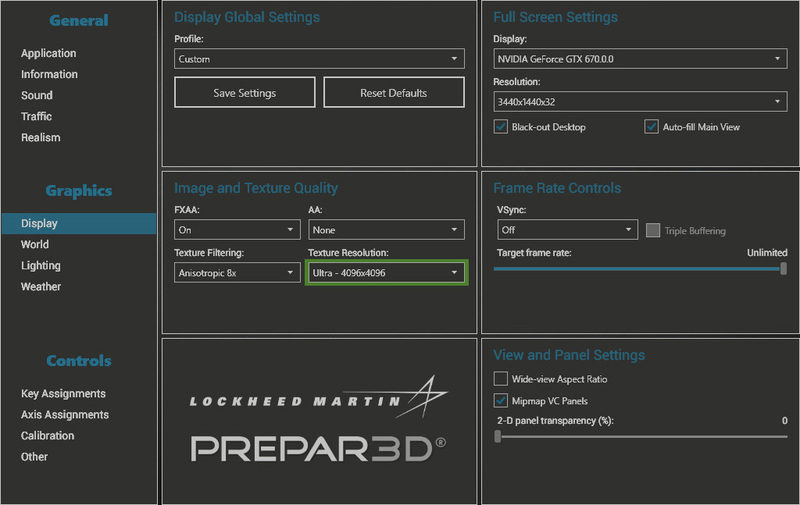 Within FSX Display Settings there is a DirectX 10 Option, but note it is labeled "Preview Mode" because it is incomplete and has a number of problems. We recommend you leave this DirectX 10 mode turned Off. If you wish to run FSX in DX10 mode anyway, please consider getting Steve's DX10 Scenery Fixer, a 3rd party Addon that will fix many known issues. 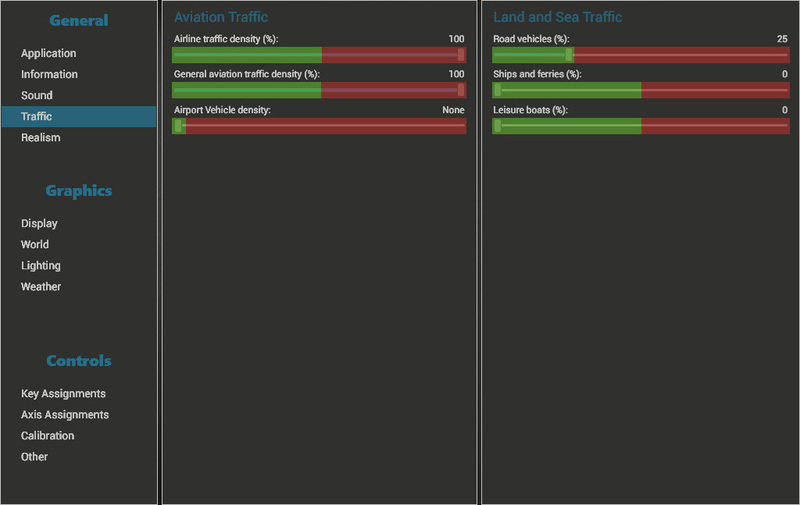 AI aircraft are inside buildings, taxi onto the grass or don't align with the runways. 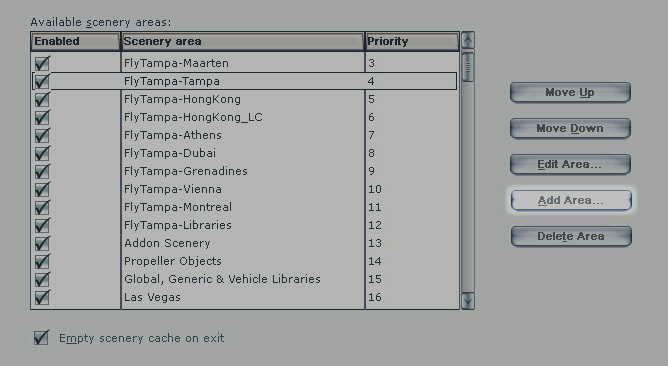 Every Airport Addon comes with its own "Afcad" file which is specifically tailored to match the Scenery. These Afcad files define the airport layout for AI Traffic among other things. When you have multiple Afcad files for the same airport on your system, the layout may no longer match the visual Scenery resulting in Aircraft appearing in places they should not be. Because there is no way to ensure that the Sim uses our Addon's Afcad, the only solution is for you to disable or delete other conflicting Afcad files for the same airport. Please note that such Afcad files not only get installed with Airport Addons, but are also included in some AI Addons such as MyTraffic and TrafficX. Ground Textures do not load and the airport appears grey or white. This will happen if the Addon has been added to the Scenery Library using the old method (scenery.cfg). Our new Prepar3D Addons must be added to the “add-ons.cfg” instead. 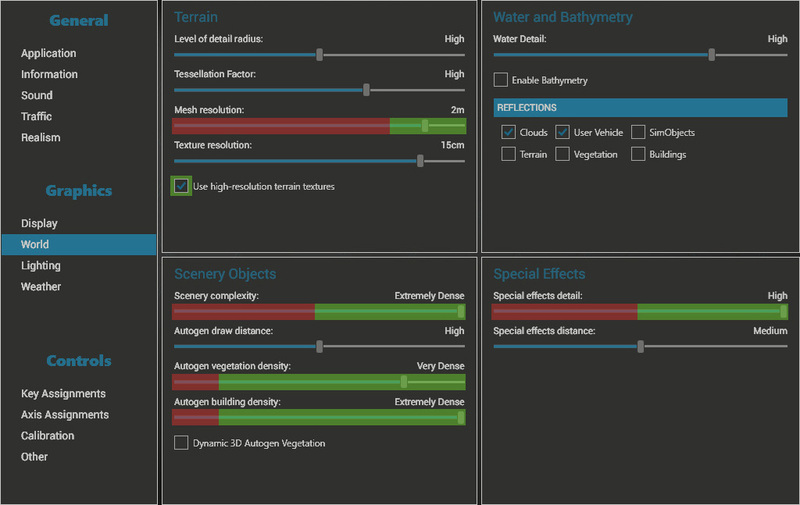 Within the Scenery Library, the items you see on top of the list that are are greyed out and cannot be moved or deleted are new "add-ons.cfg" entries. The regular entries which can be moved and deleted are the old type (scenery.cfg). If FSX is running in DirectX 10 Preview Mode, the airport ground may appear grey or black. You should either disable the DirectX 10 Mode in FSX Display Settings, or consider getting Steve's DX10 Scenery Fixer. Are the jetways interactive or static? In most sceneries the jetways can be attached and retracted using the CTRL+J keys. Depending on the airport, only some jetways will be interactive while others will be static. For a list of interative jetways, please consult the manual. The latest Prepar3Dv4 versions also offer SODE Jetways which have to be activated in the FlyTampa-Configurator. What Settings are recommended to run the Addons? Within the FlyTampa-Configurator Tool there are a number of options that can be turned On or Off to inrease the performance of a given Addon. 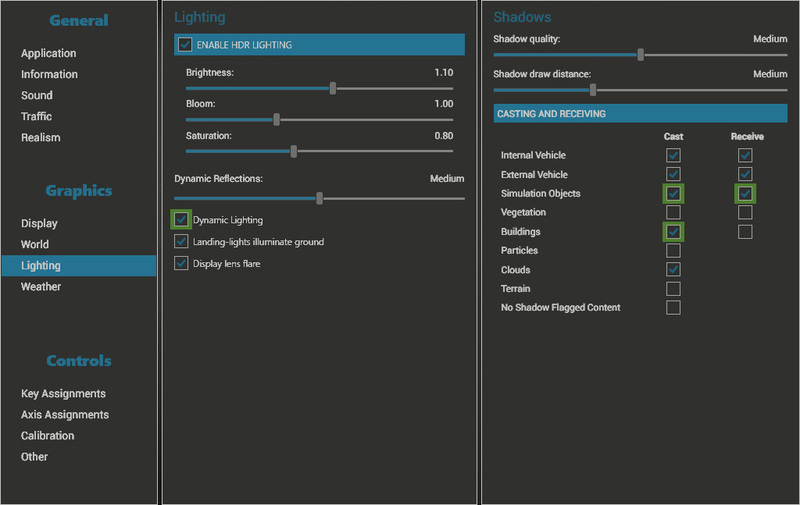 Note the Options feature descriptions such as Performnance impact: moderate, high or negligable. As a general rule, we recommend the following Prepar3D settings marked green. Note also that we do not recommend editing the Prepar3D.cfg file, especially not to add tweaks previously used in the FSX.cfg. How can I uninstall the Addons? P3D Addons can can be uninstalled by simply deleting the respective folder /Prepar3D V4/FlyTampa/Airport/. No entries need to be deleted from the Scenery Library, that happens automatically next time you restart Prepar3D. Most Addons can be uninstalled by simply removing their entry from the Scenery Library and afterwards deleting the respective folder /FlyTampa/Airport/. Some Addons may place a few additional BGL files in default directories, such as /Scenery/World/Scenery/. Look in the PDF manual to see if such individual files need to be deleted as well. Why do some Addons look & feel or quality differ from others? Because it is not our goal to develop a set of similar Addons, but to always use the latest technology and keep improving the overall quality with every new release. This has the effect that our latest releases will always be of higher quality then our earlier releases. We are therefore using the term "Legacy Product" to label Addons which we feel are not up to our current design standards anymore. If you are a new customer looking to purchase an Addon from us we recommend that you choose from the most recent releases which are being advertised on the main frontpage. On the Order page itself the products are listed in their relese order, from the newest on top to the oldest on the bottom. I lost my Installation files and/or Serial numbers, how do I obtain a replacement? Just send an email stating your Name or Email, the Products you lost and any information you might still have about the purchase to support@flytampa.com or orders@bmtmicro.com. Yes, we do however only issue refunds when the following criteria are met: Your puchase has been made recently, there is genuine evidence of a problem and our support efforts fail to resolve the issue. Please note that this policy only applies if you purchased over the FlyTampa website (BMT Micro). If you purchased the products elsewhere, the refund policy of the 3rd party store applies. I have a question about a specific Addon not covered here. Please have a look at our Support Forums. You will find answers to many questions by using the Search function.